From Kaid Benfield’s Blog another stab at this eternally problematic area of development – its underbelly as it were – my guess is that it was a problem for pre CE Roman administrators too, and in some distant future age t on the old colonised Planet Z there will still be this discussion – that does not mean we don’t need to address it, but the question is how…? Kaid revues some of the issues here..
A few days ago, I made a presentation to a group of thoughtful and accomplished philanthropists on sustainable land development. I made a strong pitch for urban revitalization and was countered with a question about gentrification, the messy phenomenon that occurs if longtime residents of older neighborhoods find themselves priced out of their own communities as those neighborhoods become more sought-after and valuable. To be honest, I don’t think I handled the question particularly well. I never do, really, even though it comes up a lot. The issue is just too thorny on all sides and, in most cases, racially charged, because minority populations are the ones who feel squeezed when more affluent, generally white, residents rediscover cities and move in. I have a lot of sympathy for long-timers who fear losing control of their neighborhoods and, in too many cases, their very homes as rents and property taxes go up with increased value brought on by increased demand. But, on the other hand, the environmental, fiscal and, yes, social benefits of revitalization and repopulation of our older, frequently distressed neighborhoods are so substantial that I believe strongly that they must continue. Surely we haven’t reached the point where making inner-city neighborhoods more attractive to more residents is a bad thing. And does anyone really have a right in the US to keep newcomers out? Didn’t we have a civil rights movement largely over that very issue? I get it that we want the rebirth of America’s long-forgotten neighborhoods to lift all boats, not just provide a haven for affluent new residents. 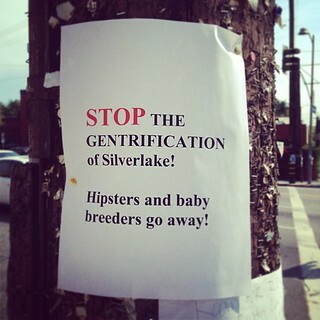 But I find myself stymied when trying to find a balanced solution, since the argument of anti-gentrification forces can all too easily amount to, “I don’t want the neighborhood to improve so much that properties in it become worth much more.” No one would say it in those words, of course. Is there a way to provide some protection to longstanding residents without providing so much that it inhibits the very improvement that so many of our neighborhoods badly need? 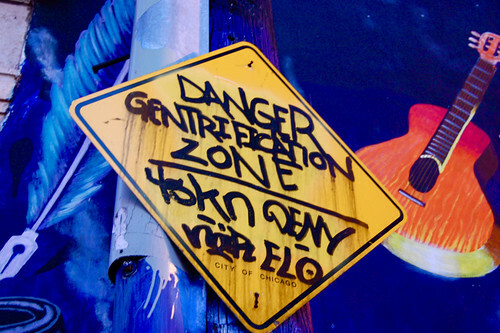 “The way most people talk and think about [gentrification] seems to create a black hole of self-doubt from which no realistic strategy for neighborhood improvement can escape. “The paralyzing thinking goes like this: We want to improve lower-income neighborhoods to make them better places for the people who live there now but anything we do to make them better places will inevitably make people with more money want to live there and this will inevitably drive up rents and prices and displace the current residents, harming the people we set out to help (or, in many cases, harming the very people responsible for making the neighborhood better through years of hard work) and rewarding people who drop in at the last minute to displace them. 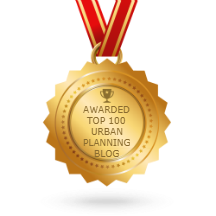 One of my favorite recent articles on the subject was written last month by Scott Doyon for his planning firm’s blog, PlaceShakers. Scott, who has become a friend through an online community of urbanists who check in with each other almost daily, might be described by some as an early-generation gentrifier: he and his wife bought into a working-class, African American neighborhood some twenty years ago because it was affordable. At the time, they had good education but almost no money. Since then, he’s seen the neighborhood attract more and more white, increasingly affluent residents.